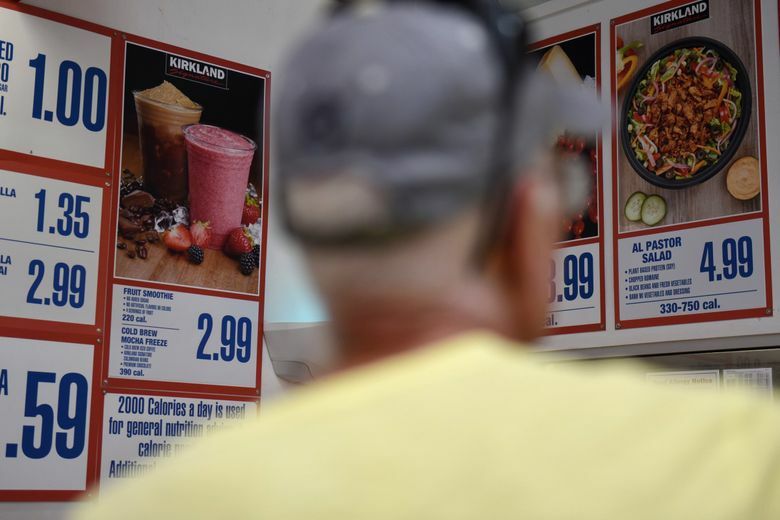 There is a significant contingent of people who track Costco’s bargain food court menu and revere the hot dog combo, sold for $1.50 with a soda since almost the beginning. For many, it’s the singular reason for countless trips to the warehouse retailer – incidental big-screen television purchases notwithstanding. These people probably already knew the latest development: The Polish hot dog is going off the menu at many Costco stores around the Seattle area and beyond. Before you freak out, the original all-beef hot dog combo – 137 million sold last year – isn’t going anywhere. The fate of other tube-shaped-meat-on-bun products available in some Costcos in other parts of the country is still to be determined as the Issaquah-based retail giant tweaks its lineup to add healthier choices. The guy who answered the phone at the food court in the Staten Island, N.Y., warehouse store said the Italian sausage sandwich with onions wasn’t going anywhere soon. A friendly voice on the line from Pewaukee, Wisc., shared a rumor of an incoming organic cheeseburger, which might necessitate kicking something else off the menu. After all, the menu is actually a collection of large posters, and there’s only so much room over the food court counters. What that might mean for the brats they sell there, she didn’t know. It can be difficult to get official answers from corporate Costco – not so much because it has a sophisticated public relations department carefully tending its image, but rather out of a frugality that verges on benign neglect. The best route is to ask the $126 billion-a-year company’s chief financial officer. Richard Galanti took a break from more important matters late Tuesday to talk dogs. “The all-beef hot dog remains,” Galanti said, confirming that the Polish dog is being discontinued to make way for new items, though it will still be sold in bulk. Costco has been hinting at a change since early this year and recently began rolling out new vegan and vegetarian fare. “Not everybody gets as excited about pizza and hot dogs as I do,” chief executive Craig Jelinek told company shareholders in January, noting that the food court menu is a frequent topic of comments dropped in store suggestion boxes. He described healthier options including açai fruit bowls, organic burgers (which began appearing in some stores last summer) and a plant-based protein salad – listed as an “Al Pastor Salad,” which some people haven’t immediately realized is meatless. Jelinek is perhaps not the best pitch-man for that particular item. But back to the tube steaks. The $1.50 hot dog combo is almost as old as Costco itself — a hot dog stand was installed at the original downtown Seattle store a year-and-a-half after it opened in 1983 — and serves as a symbol of the company’s pitch to consumers. “I can assure we don’t make a lot on the hot dog and soda,” Galanti said. It’s not a loss leader — an item retailers sell below cost to attract customers — but “closer to break-even than you think,” he added. Costco built its own plant in central California that produces 285 million hot dogs a year. It puts its soda contract out for bid every five years, pitting Pepsi against Coke to lower prices. “As costs go up you’ve got to be more efficient, which we know how to do,” Galanti said. 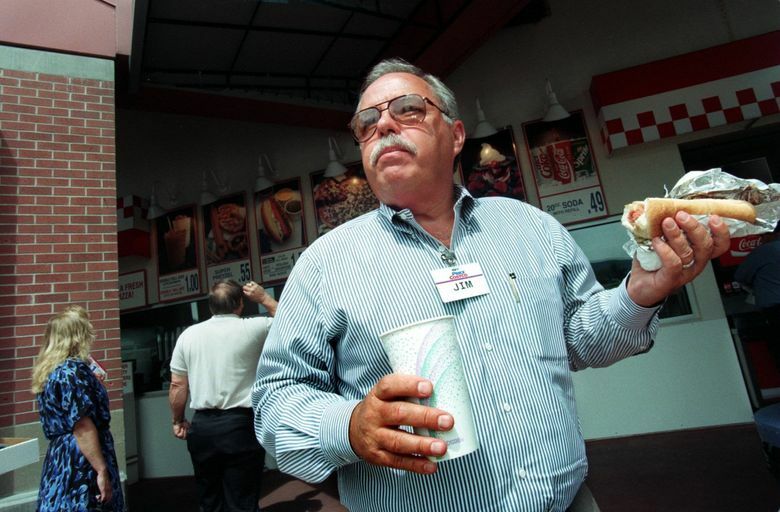 The Polishes and protein salads may come and go, but woe be unto the Costco executive who suggests a change to the original food court bargain.